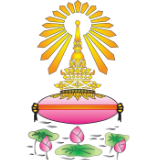 Horwang School, situated in the district of Chatuchak in Bangkok, Thailand is seeking 5 qualified foreign teachers to teach English to Thai students in Secondary level (Mathayom). 2) Minimum of Bachelor's Degree in Education (English) or in any related field, with the ability to teach effectively. 3) Applicant to teach English must be an English native speaker (from the United Kingdom, the United States, Canada, Australia or New Zealand). In the case of an English non-native speaker who wishes to apply, he or she must hold citizenship of the country where English is an official language. It is required that applicants of both English native and non-native speaking groups submit a test result for either TOEFL (PBT: 550; IBT: 79), IELTS (6.5), or TOEIC (600). The minimum scores are indicated in parentheses. The scores must be within 2 years of validity. 6) NES Teachers must be British, American, New Zealander, Australian, and Canadian ONLY! The names of eligible applicants for the selection process of new teachers will be announced on Monday 22 April 2019 on Horwang School's official website, www.horwang.ac.th. The names of the successful applicants will be announced on 30 April 2019 at Horwang School and on its official website, www.horwang.ac.th. All new teachers will report for work on 16 May 2019.